Using electric shock for interaction. This piece was first made as decoration for a party with an Austrian theme. 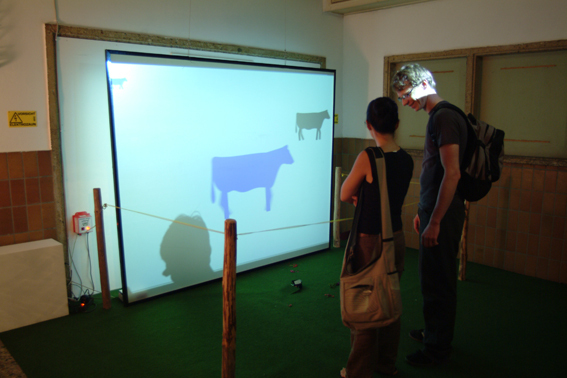 Cows and electric fences are both typical Austrian things to me and this installation presents nostalgic Austrian childhood memories to be experienced again. 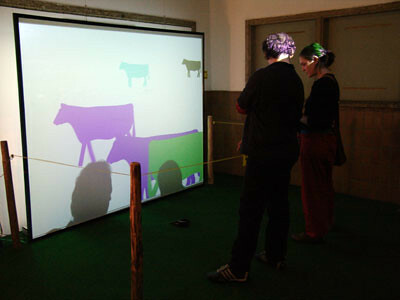 A real electric fence is set up in front of the projection of cows strolling across the field. If the user touches the fence and receives a shock this is measured by a sensor and causes the visuals to change.